The classic gray and white Houndstooth steals the show on our Houndstooth laptop case. A dark teal circle monogram is simply the icing on the cake. Case measures approximately 10"x7.25" so it fits many types and sizes of laptop. Monogram adds an extra touch of personalisation. The classic gray and white Houndstooth steals the show on our Houndstooth laptop case. 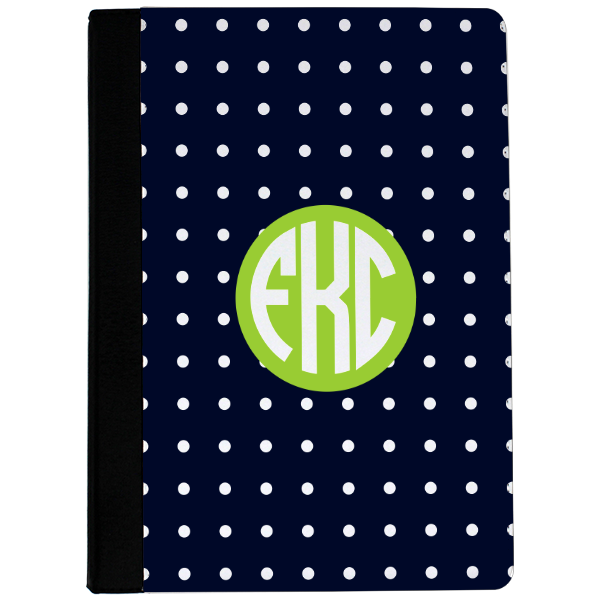 A dark teal circle monogram is simply the icing on the cake. Our case measures approximately 10" x 7.25" so it fits many types and sizes of laptop. Our products are made in the USA. Add a monogram for an extra touch of personalisation!